We spend hours thinking about what kind of food we should be consuming. From the nutritional value to the source of origin of ingredients, to the recipes and the presentation. It’s natural to only want the best for yourself and your family. But as someone who is responsible for the daily dietary needs of our family, we need to be aware of what utensils we are using in our kitchens to prepare food. 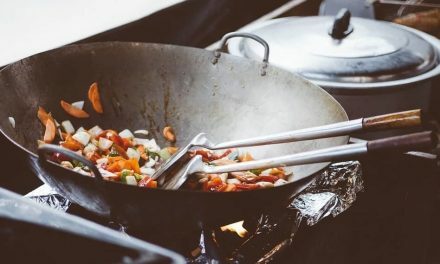 Different materials used in making cooking utensils have different properties that can sometimes leach into the food and it’s worth the effort to read up on this. Stainless steel is one of the most commonly used cookware not just locally, but around the world, which begs the question: Is stainless steel cookware safe? If you are someone who uses stainless steel cookware to prepare food, you might be wondering to yourself, ‘Is stainless steel cookware safe for my family?’. Read on as I explain in simple terms whether or not stainless-steel cookware is safe for use. We found the best stainless steel cookware sets available and reviewed them here. 5 Stainless Steel Cookware Health Risks? 6 How to Cook with Stainless Steel Cookware Safely? To understand if stainless steel cookware is safe or not, first we need to understand what it actually is. Stainless-steel is an alloy of Iron mixed with around 10% of chromium and sometimes nickel to enhance its properties. The chromium produces a thin layer of oxide on the surface which prevents rusting or corrosion in the steel and increases durability. Stainless-steel can also contain varying amounts of Silicon, Carbon and Manganese. These elements give the stainless-steel properties that not only make it suitable for use as cookware but also make it appropriate for various other purposes. As it is easy to sterilize, stainless steel is used in making surgical instruments. Stainless-steel is an environmentally friendly product that can be recycled completely and does not produce any toxic waste. This is why more and more industries are adopting its use such as the automotive and architectural sectors. If you consider yourself a friend of the planet, you would be happy to know that your stainless-steel cookware causes mother earth no harm. Stainless-steel is not a very good conductor of heat on its own, so you’ll find most stainless-steel cookware to be 3-ply or multilayered. What this essentially means is that there is a layer of aluminum or copper sandwiched between two layers of stainless-steel. Since the steel covers up the aluminum and copper, it doesn’t react with your food and is safe to use. But watch out for any abrasions on your pots and pans that might reveal the inner layer of toxic material on the inside bottom. This can react with your food and impact your health. Read more about how to use stainless steel cookware to maximize its lifespan. Since there are so many uses for stainless-steel, there have to be different types to cope with the varying environments in which it is used. Stainless-steel cookware comes in different types or grades. Some commonly used types are 304, 430 and 220. The type 304 stainless steel comes in 18/8 and 18/10 grades. The first number, 18, refers to the percentage of chromium present in the steel and the second number, either 8 or 10 refers to the percentage of nickel present. So, the 18/8 grade stainless-steel is composed of 18% chromium and 8% nickel. Type 430, also known as the 18/0 grade stainless-steel is made of 18% chromium and 0.75% nickel. Since nickel essentially prevents corrosion, an 18/0 stainless-steel utensil is likely to be prone to corrosion. Type 220 is most commonly used in making food containers since it contains no nickel. The nickel is substituted with manganese which lowers production cost. But nickel free stainless-steel cookware significantly lowers durability and corrosion resistance. 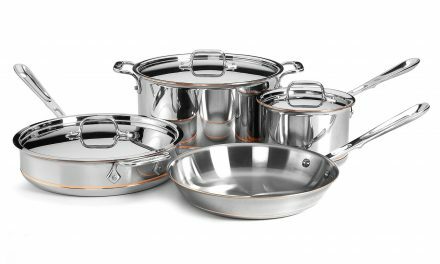 Read our review on the Top 5 best stainless steel cookware sets. There are quite a few reasons as to why most people use stainless-steel as their first option while choosing cookware for their homes. Beyond the pleasing aesthetic, it is greatly functional as a product. It is a durable material that lasts decades or even generations when handled correctly. One of the larger stainless-steel pots I use for family sized meals was the one I inherited from my mother, who had inherited it from my grandmother. It is resistant to corrosion and rusting compared to other metals in the kitchen, which makes it a perfect investment, as you can see from my history of family heirlooms! Stainless steel is easy to clean too. Unlike other materials used in the kitchen like plastic or wood, its smooth surface doesn’t let any bacteria harbor. Most importantly, stainless-steel is a does not react with your food! This means that you can use it to cook foods with acidic ingredients such as tomatoes, vinegar and citrus fruits. Metals like iron and aluminum are quite reactive and aren’t suitable for cooking with acidic foods. If you cooked acidic foods in an iron pot, it would not only impact the flavor of the food but also cause damage to the surface of the pot. This is why reactive materials are a no go when it comes to cookware. Read more about stainless steel cookware benefits. Stainless Steel Cookware Health Risks? Although there is a possibility of trace amounts of nickel and chromium leaching into your food from the stainless-steel cookware*, the amounts are extremely low and mostly harmless for people who don’t have allergies or sensitivities to these materials. A study published in 2013 by the Department of Environmental and Molecular Toxicology, Oregon State University found that the most leaching of nickel and chromium occurred the first time the stainless-steel utensil was used. After the sixth use, the leaching was stabilized. Although you have nothing to worry about if you don’t have allergies against these heavy metals, around 10% of people who are exposed to nickel develop acute contact dermatitis or ACD so it’s best to be sure of your allergies before using a stainless-steel pan. 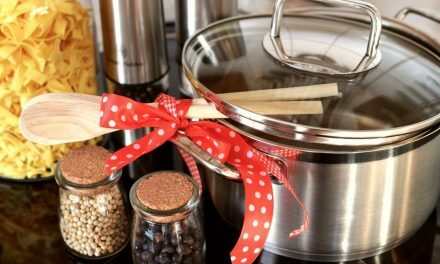 A small amount of nickel from stainless steel pots can also cause eczema symptoms in allergic people and a bit more than that has even been known to cause symptoms of Alzheimer’s. To be sure that your stainless-steel cookware is not toxic when heated, you have to make sure that there are no abrasions on the surface that can cause the material on the inside to react with the food. 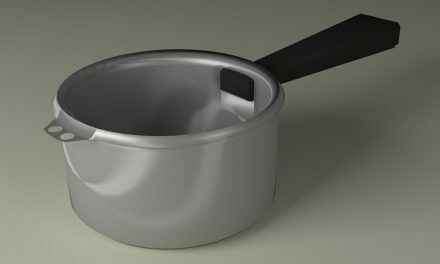 Like I stated earlier, stainless steel pots and pans are often fitted with a more conductive material such as aluminum or copper that can pose a health risk if they come in contact with your food. Find more information on how to clean stainless steel cookware. How to Cook with Stainless Steel Cookware Safely? Try not to use stainless steel cookware for slow cooking as It increases the chances of heavy metal contamination. Use a ceramic or glass utensil instead. 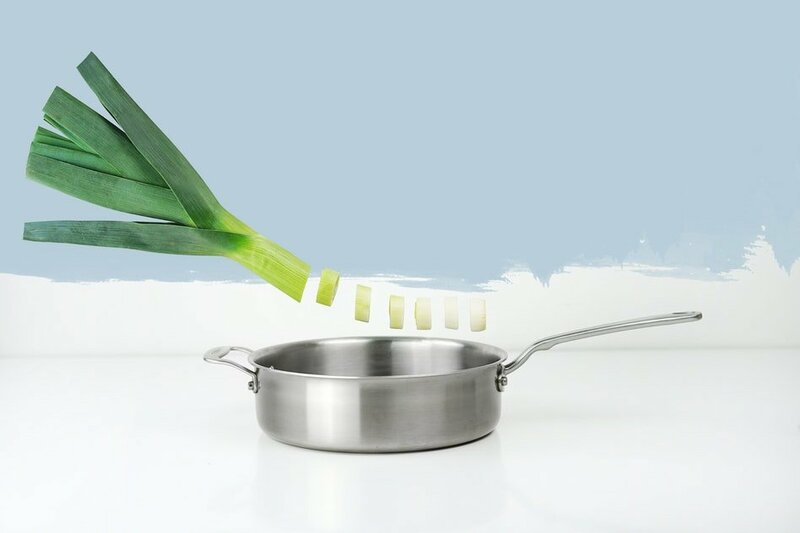 When you get a new stainless-steel pot or pan, cook a mixture of vinegar and water in it at least 6-7 times to ensure that most of the leaching occurs before you cook something to eat! Purchase high-grade stainless-steel cookware. Use a reliable brand that you trust. Keep your cookware safe from abrasions and wear and tear. If you scratch the bottom, recycle it!